WHAT OR WHO WILL AMAZILLA EAT NEXT? 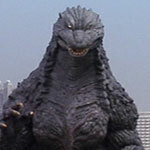 ‘Zilla will offer three hour grocery delivery to it’s Prime customers. Surprised? Me neither.